If your furnace is not operating properly you may save the expense of a service call by check a few things first. 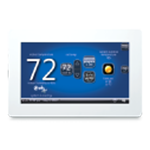 Most modern furnaces have a control board with diagnostic lights. This control is commonly located either in the furnace blower compartment or in the furnace combustion compartment. BEFORE you remove furnace doors check to see if there is a view port on the blower door. If so look through to view the furnace control. Is there a LED illuminated or flashing a code? If there is a LED light or a code flashing, record this information before opening the furnace doors. When the blower door is opened power to the furnace controls will be automatically shut off. Check thermostat for proper temperature. The thermostat must be set above existing room temperature to initiate furnace operation. Check to ensure that furnace is in HEAT or AUTO mode. If there is NOT a LED light illuminated, ensure that power is on to the furnace. Check the furnace emergency switch is on and check any external furnace fuses. This means that the furnace has power, and is getting a heat signal from the thermostat, but is not lighting properly. 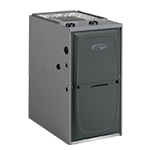 Most commonly the furnace will attempt ignition several times and then lock-out. Check gas supply. Check that the manual gas valve shut-off in the gas pipe leading to the furnace is OPEN. To proceed further TURN OFF ELECTRICAL SUPPLY TO THE FURNACE! Check the control switch on the gas valve. Is it in the ON position? Check for manual reset switches in the burner compartment. Attempt to reset manual roll-out or limit switches and attempt to re-start. Check the condition of the vent. If the furnace has a traditional chimney vent check to ensure the condition of the vent. If the furnace vent is plastic and terminates horizontally, check that the vent pipe is properly supported, and that there are no obstructions visible at the exterior vent termination like snow or ice, debris, or insect nests. Check the air filter, and replace or clean if dirty. Check to ensure there are no obstructions to furnace airflow. Make sure that return registers are not obstructed, and that most supply registers are open. If your central air conditioning is not operating properly you may save the expense of a service call by check a few things first. Start at the thermostat. Make sure that it is set to cooling and that the thermostat setting is lower than the current room temperature. Go to the server of your floor, wall or ceiling supply registers. Is there air coming out of the register, and is it cold? Go outside to see if the fan on the outdoor unit is running. If the outdoor fan is not running, check circuit breakers to ensure that they are not tripped. You can reset it by turning it off and then back on. If it trips again a service call is warranted. Check to make sure the reservoir is not full. If the reservoir is full, a limit switch will normally stop the air conditioner from running. You will need to repair or replace the pump. Then the problem is probably the thermostat, the system control board (in the furnace or air handler, or the wiring between the indoor unit, the outdoor unit, and the thermostat. Check to see if there is an outdoor disconnect, and that it is set properly. Check the refrigerant lines at the indoor coil. Do you see heavy frost or ice on them? If there is frost, check for proper air-flow. Is the system filter clean? Replace or clean it if necessary. Also check that the return air grills are not obstructed and that the majority of supply registers are open. Check the outdoor unit coil. Is it relatively clean? Ensure that it is not obstructed by foreign material like leaves or pollen. The unit may not be large enough to maintain a desired indoor conditions. During extreme conditions try to avoid activities that add to the thermal demands of your system including: clothes drying, longer showers, oven use, or frequent opening of exterior doors. If the unit operates and the airflow has been checked, but the cooling is inadequate or the refrigerant lines are iced a service call is warranted. 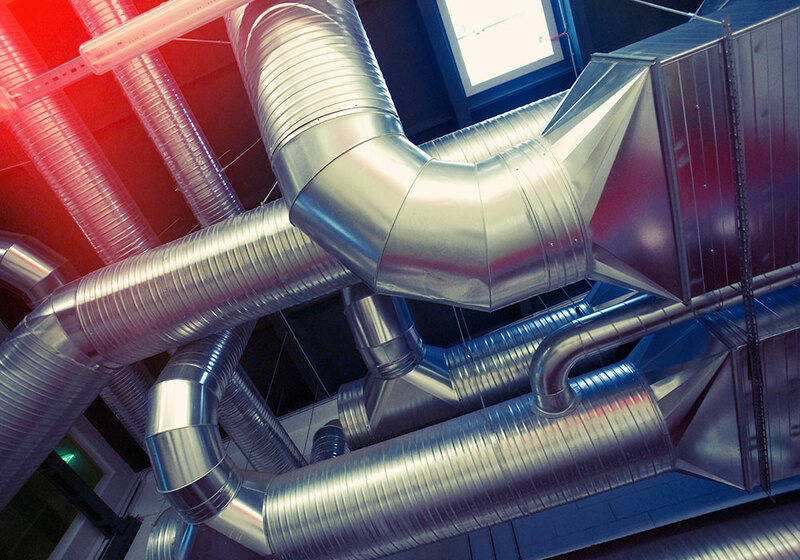 Click the button below to read a glossary of commonly used terms in the HVAC Industry. Air Changes per Hour is the hourly ventilation rate divided by the volume of a space. For perfectly mixed air or laminar flow spaces, this is equal to the number of times per hour that the volume of the space is exchanged by mechanical and natural ventilation. Air Conditioning, Heating and Refrigeration Institute. AHRI is a trade association that maintains performance standard for heating and cooling equipment. AHRI Certification ensures that the matched system will perform as rated when applied in a proper application. An indoor component containing a blower that is designed to move conditioned air throughout a structure. A refrigerant coil or hydronic coil (when paired with a condenser, chiller or boiler) or electric elements are often added to an air handler to deliver heated and or cooled air to a living space. Annualized Fuel Utilization Efficiency is a standardized measure of furnace or boiler combustion efficiency. Modern heating AFUE ratings for residential gas or oil burning equipment is between 80 and 98%. If a heating appliance has an AFUE of 90%, 90 % of the energy consumed for heating is utilized for heating, while 10% is lost as waste heat contained in the discarded flue gases. British Thermal Unit is a standard of measurement of thermal energy. One btu is the amount of energy required to raise one pound of water one degree Fahrenheit. British Thermal Units per Hour is a standard measurement of thermal input or output of a heating or cooling appliance when it is operated consistently for one hour. An odorless, tasteless, colorless poisonous gas that’s produced when fuels including LP gas, natural gas, and oil are burned with insufficient combustion air. Carbon monoxide poses severe health risks when allowed to collect in a conditioned space. Regular maintenance of your heating equipment combined with properly CO detection alarms will help prevent the risk of carbon monoxide poisoning. Cubic Feet per Minute is the measurement of airflow in a heating or cooling system. CFM represents the number of cubic feet of air that passes a stationary point in one minute. is a device that removes heat from a liquid via a vapor-compression or absorption refrigeration cycle. This cooled liquid flows through pipes in a building and passes through coils in air handlers, fan-coil units, or other systems, cooling and usually dehumidifying the air in the building. Chillers are of two types; air-cooled or water-cooled. Is used to compare efficiencies of integrated heating and DHW systems. CAE is a measure of the heat produced for every dollar of fuel used to heat your home and domestic hot water. is a thermoplastic produced by the chlorination of polyvinyl chloride (PVC) pipe and is more flexible and can withstand higher temperatures the standard PVC. Used in hot and cold water pipes, and in so cases for the venting of high efficiency gas burning appliances. Single, two stage, or modulating compressors. Traditionally compressors are single stage and operate at only one rate. Newer equipment can offer two stage compressors or variable speed compressors. Two stage compressors operate on low in mild conditions, and at high only when higher needed. Modulating compressors offer maximum performance by delivering only the amount of energy required at any time to a conditioned space. Reciprocating Compressors use a piston driven by a crankshaft to compress refrigerants in a cylinder. Scroll Compressors have a fixed scroll and a moving orbital scroll that rotates trapping and compressing the refrigerant between the scrolls. This is increasing used in modern residential equipment because it has fewer moving parts and smoother and quieter operation. 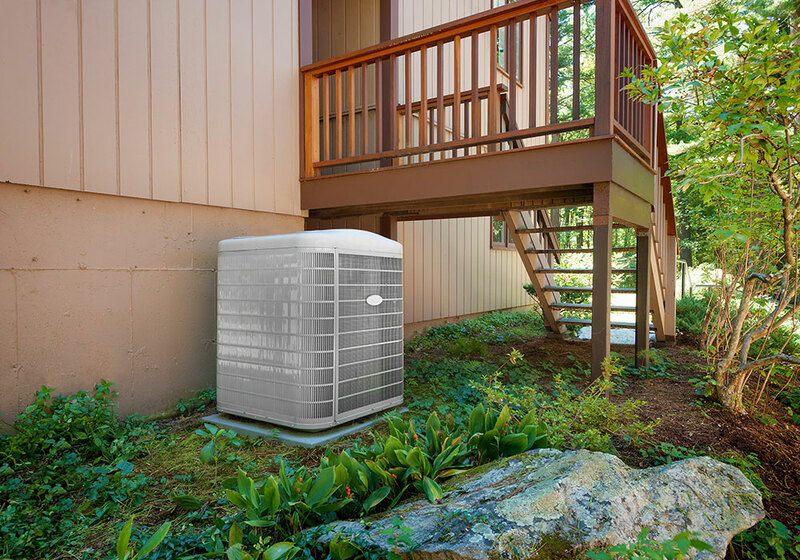 In air conditioning or heat pump operation, the condenser is the outdoor unit that releases heat (in air conditioning) or captures heat (in heating mode). 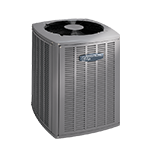 Typically a condenser contains controls and a compressor, a condenser fan, and a condenser coil. Coefficient of performance is a ratio of useful heating provided to work required. Typically used in heat pumps, the COP exceeds 1 because instead of converting electrical power to heat, it uses electrical power to move available heat from an area of low concentration to an area of higher concentration. For a given structure, the design load is the btu’s per hour required to maintain desired temperatures in a space on the coldest day of the year (or warmest day for a cooling design load). In order to maintain temperatures in a space the heating and cooling equipment should be equal to or marginally above the design conditions. It is important not to select heating and cooling equipment with capacities significantly higher than design load because it will result in a less efficient less comfortable heating or cooling system. Typically expressed in degrees Fahrenheit, this is the difference between desired indoor temperature (typical 70°) and a sustained minimum outdoor temperature for a given location. It is important that the minimum design temperature is usually considered to be that temperature that is equaled or exceeded 97.5 or 99% of the heating season. It is NOT than lowest temperature ever experienced in that location. The converse is also true for cooling design temperature difference. The Air Conditioning Contractors of America (ACCA) maintains an index of established design conditions as per of their Manual J load calculation methodology. 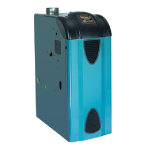 A heating system that pairs a heat pump with a fossil fuel space heater, furnace, or boiler. The system than alternates between heat pump and fossil fuel operation to provide the minimum operating cost and optimal comfort at any given condition. Based on your relative fuel costs, a heat pump can be less costly to operate in milder conditions, while the fossil fuel system is more efficient (in terms of operation cost) at lower outdoor temperatures. In addition most air source heat pumps provide lower capacities as exterior temperatures drop, so the fossil fuel system may be required to maintain proper indoor temperatures in colder weather. Used in dual fuel systems, the economic balance point is where the cost per btu delivered is equal for both a heat pump (typically air source) and the parallel fossil fuel system. While a cost per btu delivered is typically a constant with system that burns fossil fuels, with air source heat pumps btu cost is inversely related to outdoor temperature: the lower the temperature the high the cost per btu. The heat pump should will have lower operating cost above the economic balance point, while the fossil fuel system should be used below it to minimize annual heating cost. use electrically charged filters to reduce the number of airborne contaminants in a structure. As air passes through the heating cooling system, the inline air cleaners use electrically charged filters to attract and trap harmful smaller contaminants including bacteria and mold. Many electronic air cleaners can emit low levels of ozone, which can irritate lungs. is part of an air conditioning or heat pump system that absorbs heat from conditioned space in cooling mode, or from outdoor air in heating mode. is a unit that uses a coil and a fan to provide heating or coiling to a space without ductwork. They come in models mounted to the floor, ceiling or wall. The can work with refrigerant or chilled water for cooling, and refrigerant, heated water or steam for heating. Some fan coil units are heat only (typically water or steam models). is the number of gallons of hot water the heater can supply per hour (starting with a tank full of hot water). It depends on the tank capacity, source of heat (burner or element), and the size of the burner or element. Larger first hour ratings result in more hot water available for use. Gallons per Hour is a measure of water flow per time and commonly used in domestic hot water calculations. Gallons per Minute is most commonly used to measure the flow of water in pump sizing, water heater sizing, and boiler sizing. is a heating component located in a furnace or boiler and transfers heat from combustion gas to the air, water or steam that is used to circulate the heat produced from combustion. is an HVAC component that heats or cools by transfer heat through a refrigeration cycle. In heating mode, heat is extracted from outdoor air and transfer to the conditioned space. In cooling mode the process is reversed and heat is extracted from inside the conditioned space and expelled outdoors. is an HVAC component that heats or cools by transfer heat through a refrigeration cycle. In heating mode, heat is extracted from a water loop, a ground loop, or well water and transfer to the conditioned space. In cooling mode the process is reversed and heat is extracted from inside the conditioned space and expelled to the loop to water. Water source heat pumps can be considerably more efficient than air source because of the relatively consistent temperatures of the water source. 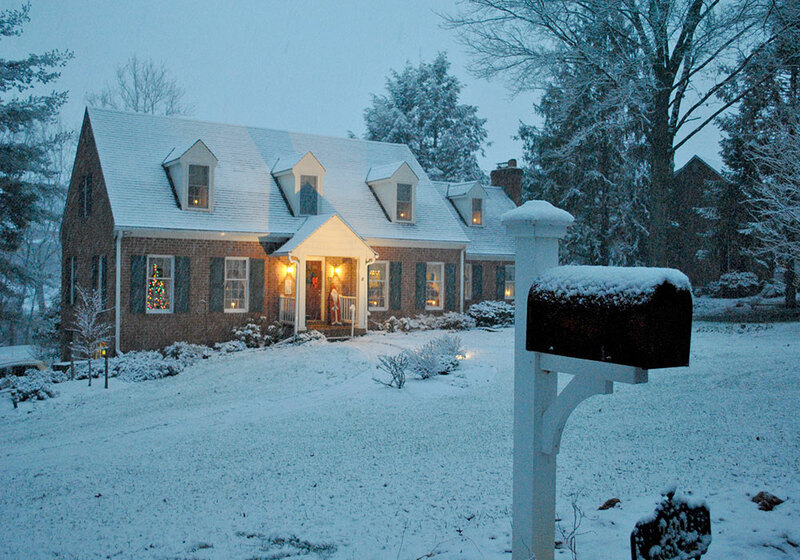 Heating Seasonal Performance Factor: The heating efficiency rating for heat pumps. Typically between 8.0 to 10.0, the higher the rating the more efficient the heat pump system. is a device that adds moisture to conditioned air. Whole-house humidifiers in a ducted system use the blower in a furnace or air handler to circulate humidified air throughout a conditioned space. is an ASHREA standard for predicting peak domestic hot water flow in commercial applications based on the type of application and the number of hot water consuming fixtures (fixture units) available. or draft inducer, establishes a draft through a furnace or boiler to provide proper airflow for fuel combustion and venting. In general inducers are required in heating system with higher efficiencies where natural draft venting is not adequate for combustion and flue gas venting. uses a variable frequency drive to control the speed of a refrigerant compressor. The refrigerant flow rate is changed by the change in the speed of the compressor. The compressor output can vary with demand and can range from 15 - 25% up to 100% of available output. the heat required to convert a solid into a liquid or vapor, or a liquid into a vapor, without change of temperature. The load resulting from latent heat can have a significant impact on air conditioning sizing. is an ACCA standard calculation method that can accurately determine the heat and cooling load of a conditioned space based on the size and construction component and methods of the space. is the Minimum Efficiency Reporting Value used to rank the ability of an air filter to remove particles of different sizes from a heating or cooling system. Filter with lower MERV ratings can only remove larger particles while higher MERV ratings indicate an ability to remove smaller particles and more complete filtration. is a unit of measure equal to one millionth of a meter or 1/25,000 of an inch. 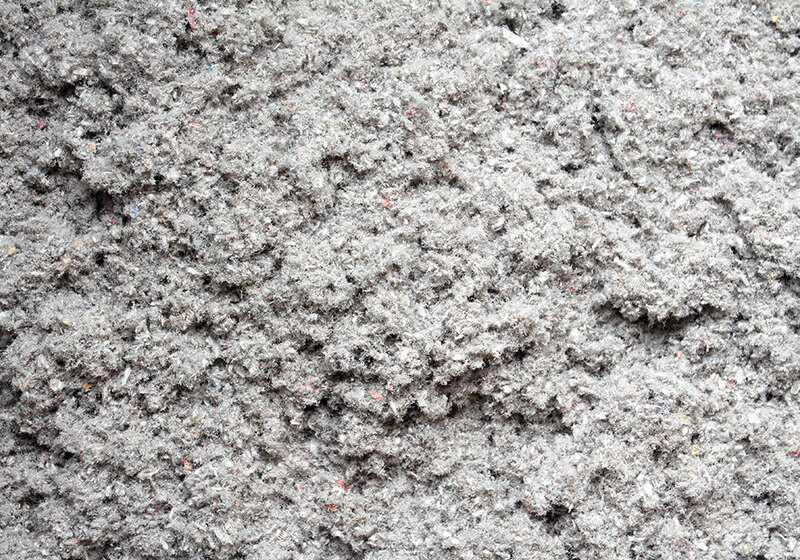 Airborne particles such as duct mold and viruses are measured in microns. Heat pump or air conditioner is typically non-ducted system. They consist of an outdoor unit and one or more indoor units that are connected with refrigerant piping and wiring. They are easier to install than many central systems and can be more efficient. 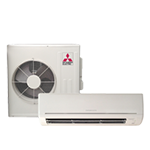 They are available in air conditioning only, or as heat pumps for heating and cooling. North American Technician Excellence is an independent organization that certifies installation or service technicians with a knowledge based test. Nate Certified personnel are expected to meet high standards for knowledge and competence in work with HVAC equipment. Net Metering: Typically used with PV solar installations (or other small scale electrical generation systems) that are connected to the electric grid through their local electric utility. Net metering is a billing mechanism that credits system owners for the electricity they add to the grid during times when their generation system is producing more power they require for their own use. is a system and lifestyle designed to help people function without the support of external infrastructures such as the electric grid, municipal water systems etc. In electricity, off-grid can be stand-alone power system from PV solar, or other local generation systems combined with battery storage. Crosslinked polyethylene pipe is part of a water supply piping system, or a hydronic heating system. For domestic cold and hot water lines PEX has several advantages over metal or rigid plastic pipe including corrosion and scale resistance, and mechanical flexibility. In a heating application, PEX combined with an oxygen barrier is used for radiant heating and as supply and return lines between system components. Photovoltaic solar panel generates electricity directly from sunlight via a process whereby electrons in panel materials are freed by solar energy and can be induced to travel through an electric circuit powering devices or sending to the electricity grid. Resistance factor is the measure the resistance to the flow of energy residential or commercial building insulation. A higher R-value equates to higher resistance to heat flow and greater effectiveness in insulating. A chemical that produces a cooling effect while expanding or vaporizing. There are many types of refrigerants in use today, but include most commonly R-22 in many older air conditioning systems, and R410A and R134 which are being used to replace older refrigerants and are considered to be more environmentally friendly. Seasonal Energy Efficiency Ratio is an air conditioning performance measurement standard defined by the Air Conditioning, Heating, and Refrigeration Institute. The SEER rating is the cooling output during a typical cooling-season divided by the total electric energy input during the same period. The higher the unit’s SEER rating the more energy efficient it is. The number of degrees a vapor is above its boiling point at a specific pressure used in the analysis of refrigeration system operation. the condition where liquid refrigerant is colder than the minimum temperature required to keep it from boiling which would change it from a liquid to a gas phase. Subcooling is the difference between its saturation temperature and the actual liquid refrigerant temperature. Thermal Balance Point: Is the exterior temperature where the heat gains of a building, often provided through a heat pump, are equal to the heat loss of the structure. Below the thermal balance point the heat loss of the structure will be greater than the capacity of the heating system, and desired interior temperature will not be maintained satisfactorily. Unit of measurement for determining cooling or refrigeration capacity. One ton equals 12,000 BtuH. Residential equipment varies from 1.5 to 5 tons. The origin of Ton is that it is the amount of energy required to convert 1 short ton (2000 lbs) of ice to water in 24 hours. Thermostatic Expansion Valve is a part that meters the flow of liquid refrigerant into the evaporator while measuring the vapor refrigerant leaving the evaporator. It thereby controls the superheating at the outlet of the evaporator. Unlike single-speed motors that run at full capacity and then cycle off, a variable-speed motor can operate at high speeds, low speeds or anywhere in between, ramping up and down like a dimmer switch. Because it can fine-tune airflow to heating or cooling demand, it minimizes wasted electricity and ensures money spent on utility bills goes directly into the comfort of your home. is the temperature a parcel of air would have if it were cooled to saturation (100% relative humidity) by the evaporation of water into it, with the latent heat being supplied by the parcel.